I just thought it might be interesting to take a look at how game controllers have evolved to become what we're gaming with today. Early generations of game consoles employed some control devices that are basically unrecognizable from today's controllers. 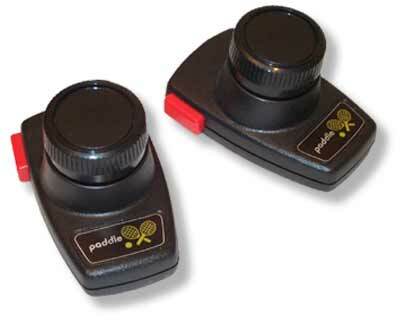 Take for example Atari 2600's joystick and paddle controllers. They don't look much like modern controllers, do they? The first incarnation of what would become the controllers we know of and game with today was the Famicom controller (July 15, 1983), which had a face lift for the Nintendo Entertainment System outside Japan (October 18, 1985). Here we see the classic D-pad (Directional pad) on the left for movement, A and B buttons on the right for other in-game actions, and function buttons in the middle, at that time "Select" and "Start". The Master System added nothing on top of the Famicom/NES controller, and a few years later Sega was quick to rush out a new system, the Mega Drive, known as the Sega Genesis here in the US, but it again failed to innovate on the design. It wasn't until the Super Famicom (November 21, 1990), known outside Japan as the Super Nintendo Entertainment System (August 1991), that the controller would see its next stage of evolution. Besides just rounding off the controller to make it more comfortable to grip, the SNES controller was the first to add the shoulder buttons (L and R) and a second row of buttons (X and Y), and arranging the four face buttons in a configuration matching the up, down, left, and right directions on the D-pad at the other end of the controller. This button configuration and A/B/X/Y naming would be pretty standard for virtually all consoles to follow from virtually all manufacturers, although Sony decided oddly to name the face buttons with shapes rather than the more practical letters. In roughly the same time period but from two different directions came the next feature of the modern controller: grips. Nintendo added the jutting prongs as grips to the Virtual Boy controller (July 21, 1995 in Japan and August 14, 1995 in North America) and Sony in about the same time frame added similar grips to the PlayStation controller (December 3, 1994 in Japan and September 9, 1995 in North America). Oddly, Sony opted to use a peculiar, illogical naming scheme for the four face buttons, as well as an anti-ergonomical shape for their grips. Nintendo 64 (June 23, 1996) brought the modern controller the analog control stick. This was a huge step forward in game control, as by then we were moving into 3D gaming which required a more up-to-date, 3D control method, and the D-pad just didn't cut it. At the time, it was uncertain how to best handle 3D gaming as far as the controller went, and Nintendo tried using buttons for 3D camera control, and while they worked this control scheme would later evolve into a second analog control stick. Following in Nintendo's footsteps with the analog control, and obviously learning from the attempts at camera control on the N64, Sony later added two analog sticks to the revamped PlayStation controller, dubbed "Dual Analog", and two analog sticks would remain pretty standard from there on out. Nintendo 64 later added the next standard in the modern controller design when the Rumble Pack (April, 1997) added force feedback to the Nintendo 64 controller. At first mocked by rivals Sega and Sony, it caught on and later became standard in controllers on consoles to follow, save for PlayStation 3's lack of force feedback in 2006 (which Sony at the time again mocked, only to eat their words and later add it down the road). After watching the rise in popularity of the Rumble Pack for N64, Sony again revamped their controller with two force feedback motors built into the two grips and dubbed it "DualShock". The most recent addition to the modern controller comes from Nintendo's Wii (November 19, 2006) when it gave us motion control. Motion control technology, like these other technologies previously listed, have been used elsewhere before, but this was the first real, successful use of it in a home console. As is standard for Sony, they saw that Nintendo was using this technology in their controller and followed suit by revamping their PlayStation 3 controller into Sixaxis, which lacked force feedback (Wii still had it) but adopted inferior motion control (also poorly implemented in PS3 games). While Sony had done some stuff with the motion detection before, they had not featured it in the PS3 controller's design when it was shown at E3 in 2005, where Nintendo showcased it for the Wii, and a year later motion control magically appeared in the new PS3 controller in 2006. In 2008, Nintendo upped the ante by improving on the motion control with the addition of "Wii MotionPlus", making for even better motion detection than already seen on the superior Wii remote, and is presently without peer in the home console industry. Wow, that was kinda interesting. Good job!